Utopian: NOW The Best Return on Investment in the ENTIRE Steem!steemCreated with Sketch. Utopian.io is going to share with users delegating power to it, 20% of the TOTAL rewards generated on the platform by each single contribution/post. Utopian.io became super popular in the last days but the last update I made on the platform it's gonna really CHANGE EVERYTHING and ...What I have just implemented is the HIGHEST Return on Investment you may end up having in the entire Steem. @xeldal has joined the crew with 20800 SP! @javybar has joined the crew with 10000 SP! @jerrybanfield has joined the crew with 5000 SP! @cryptoctopus has joined the crew with 2000 SP! @yabapmatt has joined the crew with 2000 SP! 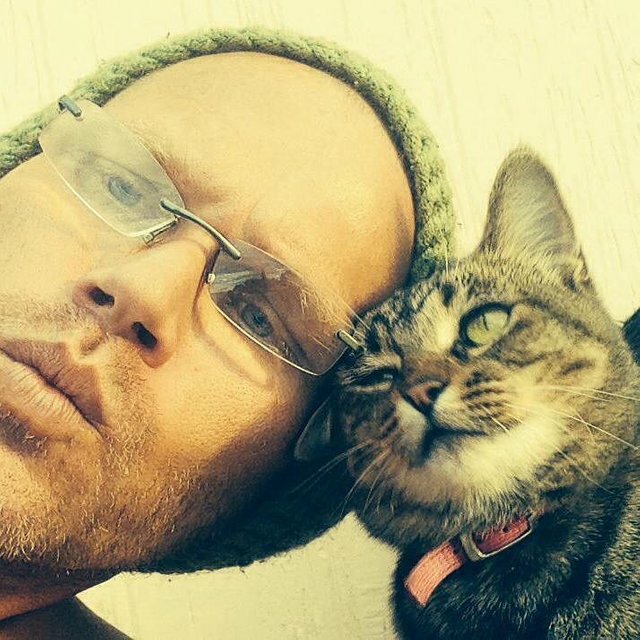 @allowisticartist has joined the crew with 1397 SP! @elear has joined the crew with 1000 SP! @n-ur has joined the crew with 1000 SP! @iliasdiamantis has joined the crew with 1000 SP! @masterofcoin has joined the crew with 1000 SP! @bbrewer has joined the crew with 500 SP! @unosuke has joined the crew with 500 SP! 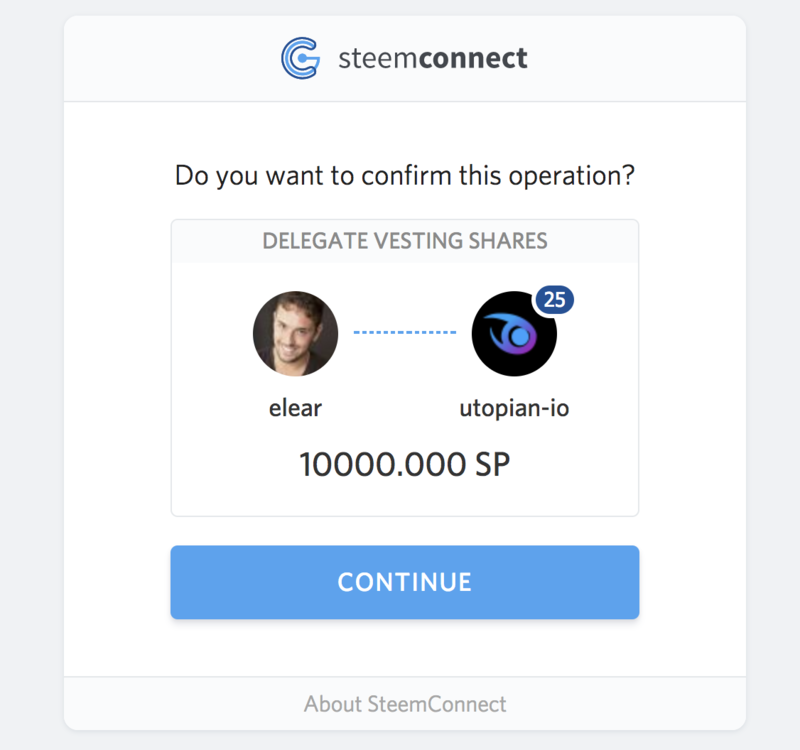 Utopian.io Is Now The Only Real Decentralised Organisation on Steem! Utopian.io rewards everyone for contributing to Open Source projects (like Steem is, or Busy.org or WordPress and many others). Utopian now offers a way to share EVERY SINGLE REWARD generated on the platform by every single contribution with its investors (also referred as sponsors). You can also be part of them and I am going to show you how, without any kind of expense from your side. Utopian.io Now Shares 20% of the TOTAL Rewards generated on the platform with its Sponsors! Until yesterday Utopian was getting a 10% of the total rewards directly into its Steem Power and used that Steem Power to upvote the best Open Source contributions. Utopian now gets NOTHING but instead 20% of ALL the rewards goes to the Utopian Sponsors based on how much they have delegated. Delegating just means that you are lending your Steem Power to Utopian for how long you want and get it back whenever you wish. Lets say you have delegated 2K Steem Power to Utopian and that is equal to 50% of the total delegated power to Utopian, you are going to get a whopping 50% of the 20% of the total rewards generated by Utopian. So if Utopian generated today 10K in author rewards. You are going to get 50% of 20% of 10K = 1000 STEEM POWER in a single day. That also means you have to delegate as much as you can, since if your portion is too small you may also get almost nothing. 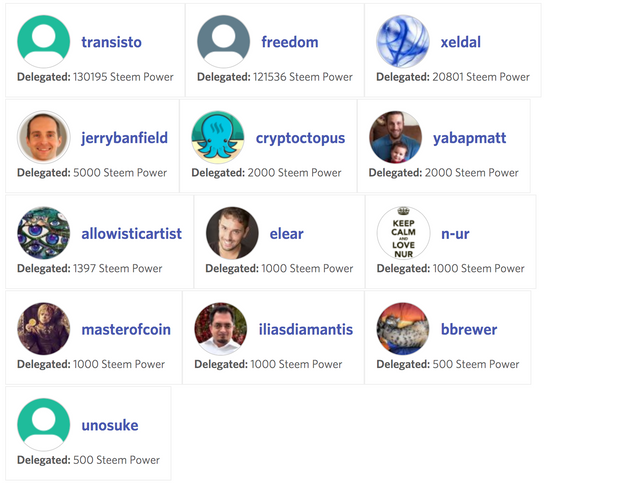 At the moment the minimum power you can delegate to Utopian is 100 Steem Power (SP) but I would invest +1000 Steem Power. I personally invested 1000 SP and I am going to invest more today. Why Such High Returns for Sponsors? It's simple. Every contribution posted on Utopian is always 100% powered up. By delegating your Steem Power to Utopian you are also getting back Steem Power. Utopian uses the Steem Power to upvote the best contributions on the platform. The more power delegated to Utopian the more the best contributions are going to get rewarded. Everyone earns from this flow. Utopian needs to become a BIG WHALE in order to make this Utopia possible..Contributing to Open Source projects means doing real hard work and contributors must be rewarded by much more than just a few cents for this to work. Every new post written by the official @utopian-io account. Every weekly newsletter Utopian will start sending out starting next week. That means for you that your Steem presence is going to get quite a big boost, just for free. Utopian is owned by no-one and by everyone. The project is Open Source. All the contributions posted in Utopian are permanently stored in the blockchain. 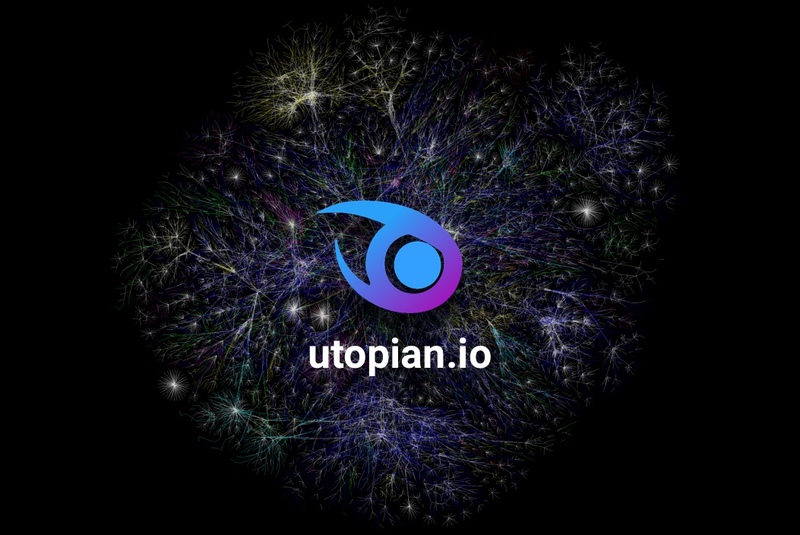 The Utopian wallet is public and you can check how Utopian is using its Steem Power. Utopian earns no Steem but instead is the crowd to make it grow by delegating power. Utopian is here to create a New, Shared and Meritocratic Economy from which EVERYONE will benefit IMMEDIATELY. @elear I really can't say enough how great I think Utopian is. I've been saying that the future of Steem is not on SteemIt.com (or even busy.org) but on many different sites that focus on specific communities. Utopian is not only one of the first doing this but it also is focusing on a very, very important community - open source development. The timing was good also since I just powered up a bunch more SP a couple days ago and I'm very proud to have the opportunity to sponsor Utopian and have just delegated 2,000 SP. I am planning to invest significantly more in STEEM over the next month or so (taking more time than I would like to set things up financially) and when that happens I would like to delegate even more. Keep up the great work, and let me know if there is anything else I can do to help spread the word! I just delegate 1397sp thanks for the awesome project I just started beta testing busy and I love supporting open source. That is all the SP I have at the moment. Is worth it to help out the cause, I have a love for open source developers. I just started on steemit last month and am so happy that my investment in steem can help open source get better funding and getting a return is a cool bonus I love when things are win win win. And I believe in the steem Blockchain to empower creativity. Thank you for the opportunity and for clueing me in. I am an artist so I will contribute any design work I can. I love your support! Thank you so much @allowisticartist ! Click on the blue button "DELEGATE"
Once you want to un-delegate just do the same process but put 0 as the amount. Why don't you support <100 values? Maybe it's the smalles "profitable" amount? Sure, understandable. Apparently, support isn't always atomizable, but it's okay. I love Utopian! finally a decentralized meritocratic tool! Love the creativity! best wishes. Wow thaat's very generous ! You are welcome @scalerman ! @elear I am trying to post an idea on utopian.io and I am getting a message that it can not connect with steem try again later... I am not sure if I am doing something wrong. Hey, @elear is just made a delegation. Cool project. Sent in my contribution, hope it can help you! Amazing @ajvest I have seen that and I am going to give you credit everywhere for this big contribution! heeheh thank you so much @dewina ! Upvote our comments, follow us, and send 0.010 in a transaction with your link as a memo. Your post get resteemed. I am new to Steemit and i don't have that much SP . Will Surely do something like this is the Future !